Glas Tek offers Avondale windshield replacement and auto glass repairs. We provide top-notch auto glass services to drivers in the Avondale area. Our auto glass repair experts can fix cracked windshields that have not been severely damaged. Serious accidents often call for windshield replacement; we also perform this service at affordable rates. 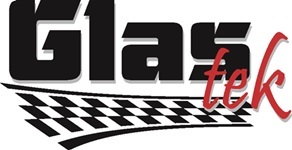 The Glas Tek staff strives to provide motorists with great prices while ensuring maximum safety. Our experienced technicians specialize in repairing and replacing automotive glass. They use superior materials and work to complete every job on time without cutting corners. If addition, we will even travel to homes and businesses in Avondale and the surrounding cities for free. This convenient service can help you avoid missing work, traveling with a damaged windshield or having to pay towing fees. Glas Tek charges highly competitive prices for Avondale auto glass replacements and repairs. We do not add any extra fees when local customers ask us to visit their homes or charge disposable fees like some of our competitors. Visit our webquoter for a free, online, no obligation price quote. Glas Tek offers free chip repairs for any windshield installed and will come back to you for free. In addition, you will earn 10% rewards on any future auto glass repairs, windshield replacement, door glass, vent glass, quarter glass or back glass needs. We offer a full nationwide lifetime warranty with all our Avondale auto glass replacement installations. How do I file a Avondale windshield replacement insurance claim? Very easily! You can start your Avondale windshield replacement claim online or call us direct at 602-334-1964 and one of our auto glass experts will be able to answer all of your questions and walk you through the claim process. Visit our auto glass insurance program to learn about insurance claim questions that will be asked during the claim process so there will not be any surprises. Our company cooperates with a wide range of insurers that operate in Arizona, such as State Farm, Hartford, AAA, Geico, Allstate, Liberty Mutual, Travelers, Prudential and 21st Century. We honor and accept all contract pricing so that there will never be any unexpected out of pocket charges. 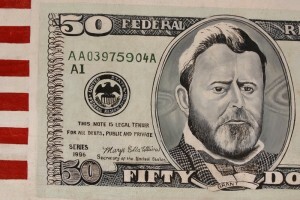 Plus, we give you $50 CASH NOW with any Avondale windshield replacement insurance policy that carry full glass coverage. All auto glass replacements are backed by your insurance company and our nationwide lifetime guarantee and come with free windshield chip repairs. The claim process takes about 10 minutes and is fast, easy, and almost pain free. 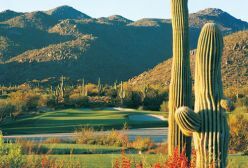 Avondale is populated with over 75,000 residents and is located in Maricopa County in Arizona of the United States. The famous auto racing facility Phoenix International Raceway is located here for all the fans of racetrack to enjoy. This very important part of Arizona strives to provide recreational amenities and open spaces through its Libraries Departments, parks and recreational facilities. Avondale offers a large variety of events and activities for all of its residents including special events and plenty of things to see and do. If you are a resident of Avondale you probably been to one of the Marathons if not it’s definitely worth seeing and being a part of. That is the great thing about Avondale there is always something new and exciting going on. The largest high schools in Avondale are Agua Fria, Westview and La Joya. Many famous athletes have attended these schools, a famous offensive guard who was inducted into the National Football Foundation College Hall of Fame in 2008 was Randal McDaniel a sprinter at Agua Fria High School. Another famous athlete from Agua Fria was Everson Griffin a defensive end for the University of Southern California Trojans also attended this high school. If you think that wasn’t enough Shawn Gilbert a MLB player played baseball at Agua Fria. A wide Receiver from the Philadelphia Eagles attended Westview High School, his name Drisan James. Another famous and notable resident of Avondale is Punter for the Detroit Lions Nick Harris also lives here and attended Westview High School. So if your sports lover, and you live in Avondale keep an eye out. Answers to all your insurance claim questions. Making the claim process easy and worry free. Glas Tek provides free valleywide mobile service throughout the Phoenix metro market including: Phoenix, Tempe, Chandler, Glendale, Peoria, Mesa, Scottsdale, Goodyear, Avondale, Sun City, Surprise, Maricopa, San Tan Valley, Apache Junction, Queen Creek, Buckeye, Sun City West, and Tolleson. We are an approved service provider for all insurance companies including: Allstate, Geico, Farmers, American Family, State Farm, Hartford, Progressive, USAA, Liberty Mutual, and many more.